Santa Barbara and the adjoining Santa Ynez Valley offer the ideal destination running experience. Held in early May on Mother’s Day weekend, it’s the perfect time to visit this haven for outdoor recreation. The area has plenty to offer including beach and ocean activities, hiking, biking and running trails, historic towns and missions, plenty of shopping and restaurant options, and an abundance of wineries and tasting rooms. 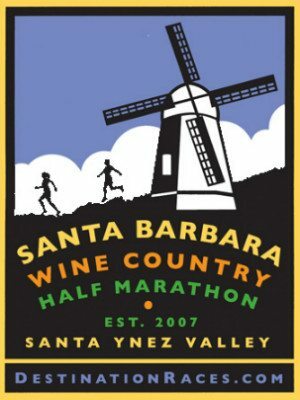 And you’ll LOVE this scenic course that runs from downtown Santa Ynez through Los Olivos into the Danish-settled town of Solvang. Bring your family and friends to enjoy a weekend full of activities in this bucolic setting and celebrate in style at the expanded post-race Wine & Music Festival in Solvang Park. Run the half marathon or the two-person relay. Form a team of six or more. Run with, or for, your mother. But be warned…this race is habit forming!